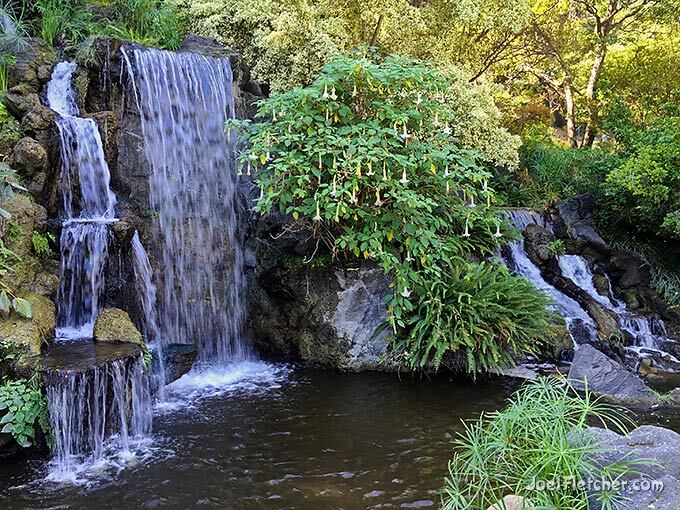 Hidden away in the Los Angeles County Arboretum and Botanic Gardens is this wonderful cascade known as the Meyberg Waterfall. It may look real, but is actually a man-made construct that was created in 1969. The surrounding plants, including Angel's Trumpets, contribute to the serene feeling of the location.